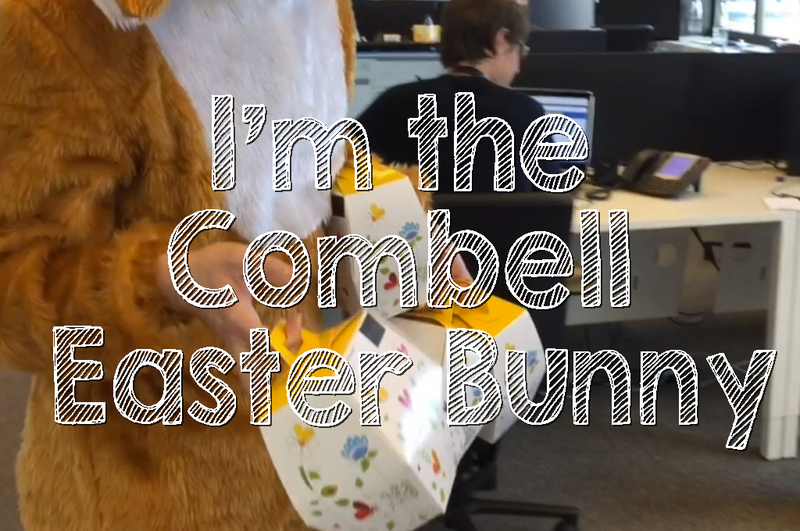 But this year we wanted to spice things up a bit and in a meeting with a bunch of “stakeholders” we decided we would surprise everyone by having an Easter Bunny. Question was: who will dress up? You know that awkward moment when everyone is either looking around or looking down? It was one of those. So eventually I stepped up, ordered a costume and went for it. We wanted to share the fun an recorded the entire thing. I went around the office handing out boxes of chocolates and basically acting like a 3-year old. I had so much fun recording it. I brought an extra t-shirt to work that day. I’m so happy I did, because it gets hot in those costumes! Want to join the team and join the fun? Enjoy chocolates and other benefits at Combell. But more importantly: we have a great team, it’s a great company to work for and we have some really interesting/challenging projects. Go to http://www.combell.jobs and check out our vacancies.